This morning I wasn’t very inspired or motivated by any of the tips sitting in my inbox — nothing against our wonderful tip-submitters! It’s not your fault there isn’t much interesting work and stories out there — so I thought I would showcase a preview of my favorite project from the winners of the 2012 Brand New Awards designed by Landor’s San Francisco office: Nine Suns is a new luxury winery in Napa Valley with three-digit dollar bottles available only to registered members. In introducing the wines, the product of a Chinese family, Landor created a name and identity that references and honors their Chinese heritage in a subtle and unexpected manner. Nine Suns references an ancient Chinese legend where ten suns took turns rising in the sky. When they grew tired of the routine and decided to raise all at once, lakes dried and crops perished. The God of Archery was summoned to save the land. He aimed. Nine suns fell, leaving the one needed to keep heaven and earth in perfect balance. The story and archery references the art and science of wine making. The calligraphy, God of Archery and the three legged sunbirds dress the brand in mythical flair. 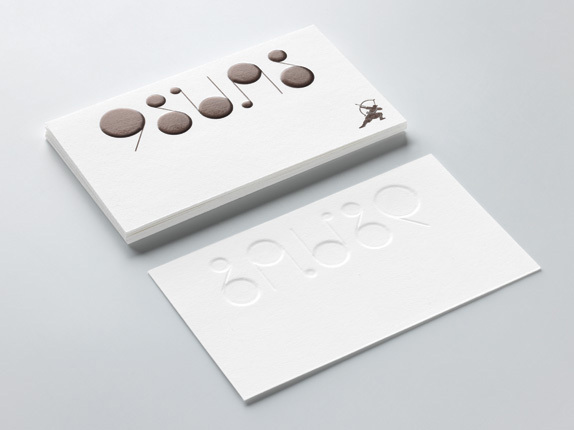 This image has been edited to remove the contact information that was shown on the back of the business card. 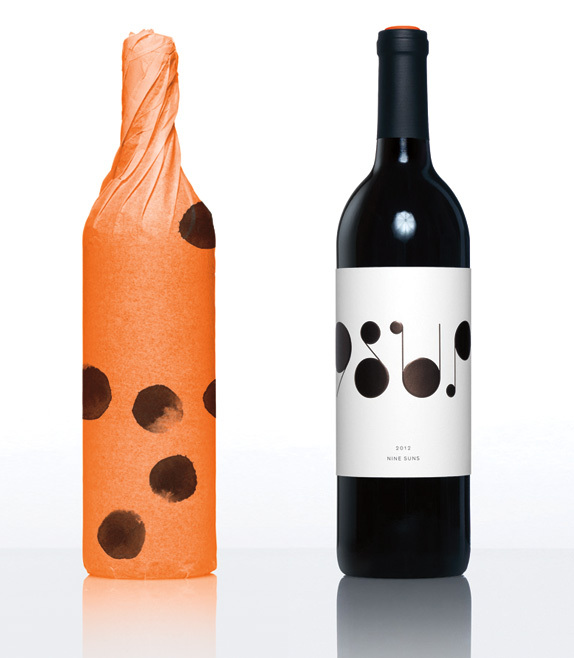 At first glance, the project is already stunning, with a simple and sophisticated look that fits the high-end wine category but also stands out for its unexpected graphics. However, it’s the details that deserve the attention. 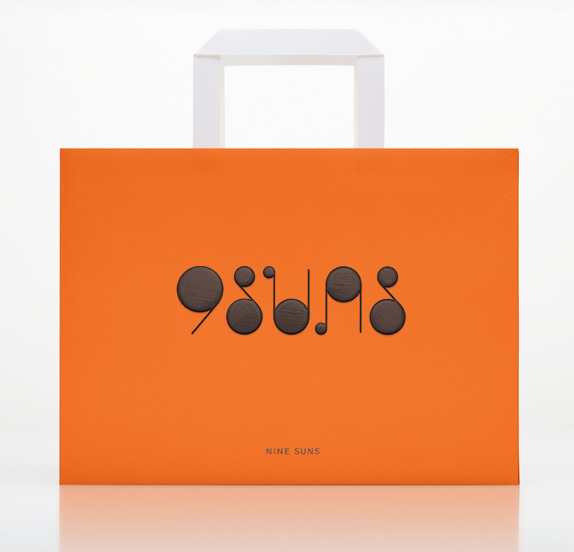 Like the fact that there are nine circles (for the nine suns) in the otherwise abstract wordmark. Or the tiny archer on the business cards taking down the suns. Or the orange top on the cork. And there is a few more details I’m holding back to show on the BNA book and website. But even from this preview you can see the nice tension of bold colors, thin lines, and full circles at play. This morning I wasn't very inspired or motivated by any of the tips sitting in my inbox — nothing against our wonderful tip-submitters! 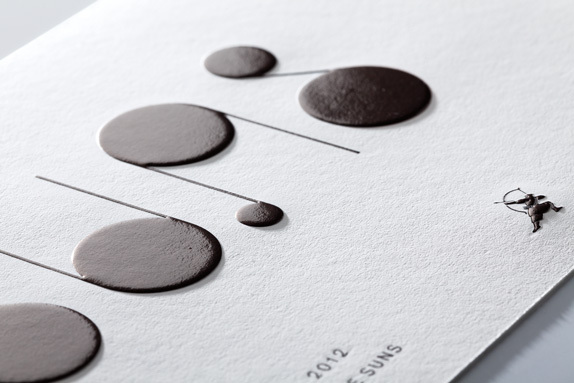 It's not your fault there isn't much interesting work and stories out there — so I thought I would showcase a preview of my favorite project from the winners of the 2012 Brand New Awards designed by Landor's San Francisco office: Nine Suns is a new luxury winery in Napa Valley with three-digit dollar bottles available only to registered members. In introducing the wines, the product of a Chinese family, Landor created a name and identity that references and honors their Chinese heritage in a subtle and unexpected manner.